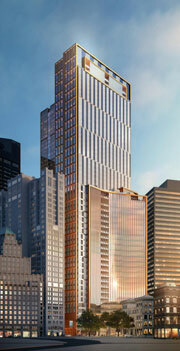 What does the shorter Winthrop Square tower now look like? Capacity for 550 vehicles in five levels of underground parking. The update follows an ongoing discussion around the impact of the shadows cast onto the Boston Common given the tower’s height, orientation, and location.